Sometimes you find a book that you just keep diving back into. For me, Brian Tracy’s Time Power is one such book. Brian Tracy is possibly THE most published and re-published business author in the world, and this is one of his most readable and actionable books. Time marches on. You can’t hoard it or save it, or buy more of it. Have you ever bought a “box of time”? Time Power shows you how to control your time to get the best out of it – to suit your personal goals. The book starts by making you take a look at your goals and look at the possible, the positives and the big dreams. Big dreams often take big time. Through taking stock of what you really want to accomplish in life, you can see the benefit in mastering key productivity skills – like time management. Using a firm understanding of the importance of time management as a foundation, the remainder of the book becomes one of the most powerful toolkits you’ll have the chance to work through. "If I were not doing this job today, knowing what I now know, would I get into it again today?" The principle of ‘zero based thinking’ shows us how to make decisions looking forward rather than backwards. It’s so easy to get caught up in the “time invested” aspect of a particular activity, job or project. We keep pushing and pushing, hoping to eventually break through and realize our original vision of success. Seth Godin talked about this in his book, the dip; we need to understand our “quitting parameters” – the circumstances under which we’ll stop that activity and put our energies (and time) elsewhere. While Godin talked about creating a quitting strategy before embarking on a new venture, Tracy provides some excellent tools and tips for evaluating the value in continuing to “push” at various points throughout. It’s been often stated that “While efficiency is doing things right, effectiveness is doing the right things. Applying “zero based thinking” helps you identify the right things. "Stop Doing things – before you start a new task, remember that your dance card is full"
Surprisingly, Brian Tracy actually suggests that you practice procrastination – on your terms. You decide to delay or not do or not start a task. The logic is this – in order to give time to the tasks and projects that are helping you work towards your personal goals, you need to free up time from the activities that are not (or, aren’t as much). To do this, of course, you need to understand your priorities. Which of the unending list of demands on your time will really help you move closer to your most important goals? You need to separate the priorities (the important stuff) from – a great new word – the posteriorities (the unimportant stuff). Actually identifying something as a posteriority is a positive experience, as it allows us the freedom to take a deep breath… and NOT do it. Which of these can I delay or stop altogether? Which of the tasks being put my way should I just not get involved with? Focus on the important. Life’s too short to spend it wading through muck. "Audio listening is perhaps the biggest breakthrough in education since the printing press." The range and quality of business, motivational and educational material now available on audio is phenomenal. You can turn your car into a university on wheels. You can be taking in fantastic material from many outstanding authors while you drive, fly, wait around or exercise. Many people drive over 20,000 miles per year in their cars. That converts to something like 600+ hours (or 15 forty hour weeks) when you could be learning. One of the real beauties of audio learning is that you can take in a huge amount of information with little stress, even less effort and sometimes with phenomenal retention and recall. Now, with the advent of tiny MP3 players and multiple download providers, 21 grams (less than an ounce!) can hold 20 or 30 entire books! (Mine does!). What are you interested in? What will improve your opportunities? Seth Godin or Lady Gaga? 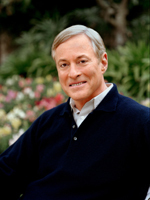 Brian Tracy or a radio chat show? Many of the books in the Actionable Books library are also available as audios – some actually read by the authors. The “I don’t have time to read” excuse no longer has a home. MP3 players and high quality earpieces are so reasonably priced there’s now even less excuse. Time Power, like all of Brian Tracy’s work, is tremendous. The pressure on everyone to achieve more with the same is continually increasing. We all have the same amount of time each day. We can’t save any of it. This book will show you how to use it wisely.